The Bristol Festival of Ideas - eight years old this year - returns with another inspiring programme of discussion and debate designed to stimulate the minds and passions of the people of Bristol. Dickens's life and writing continues to inspire artists and filmmakers today. 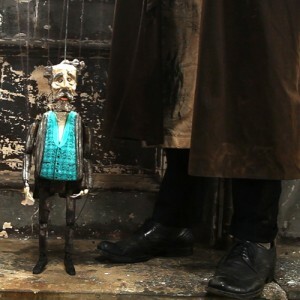 This interactive, cross-platform experiment brings together artist filmmaker Chris Newby and writer Michael Eaton to form a biographical portrait of Dickens's life via film and the spoken word. Based on Dickens's journalistic essays, we present five new films by Newby, which use animation, puppetry and contemporary footage to visualise the five original radio plays written by Eaton with a Neil Brand score. Fee: £8.00 full /£6.50 concessions.